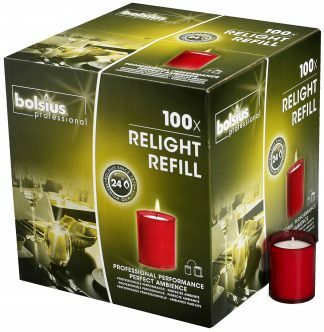 These Relight Refills for the Bolsius Relight Holders are in a non flammable plastic container. 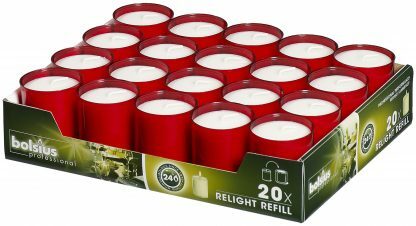 Each refill provides a safe, beautiful light for 24 hours. 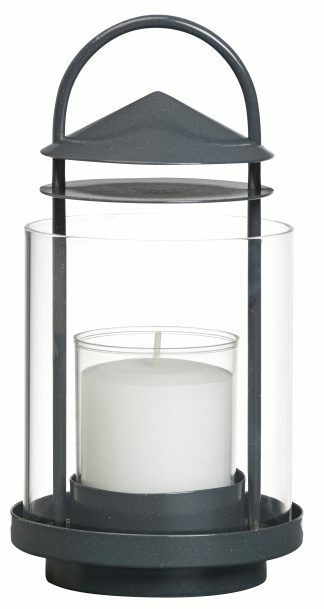 The transparent cup ensures that the flame is fully visible right up until the end of the burn time. Refills can be switched or replaced in seconds to create a different mood effortlessly. 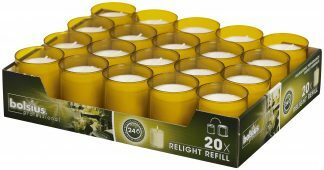 The refills are also easy to relight over the course of several evenings due to their high quality wick.